The Michigan Theater, seen above on a crisp autumn evening, is one of Ann Arbor’s many delights, making it easy to “sell” our town to medical students who interview for urology residency. Reflecting the halcyon days of motion picture palaces, the theater opened January 5, 1928 with grand lobbies, 1700 seats, a Barton theater organ, and an orchestra pit. Now, after ninety years of capital campaigns and restorations, the building has three auditoriums and is the center of the Michigan Theater Foundation, a world-class non-profit center for fine film and other cultural events. Its State Theatre, across the street, reopens this month after a well-earned renovation. 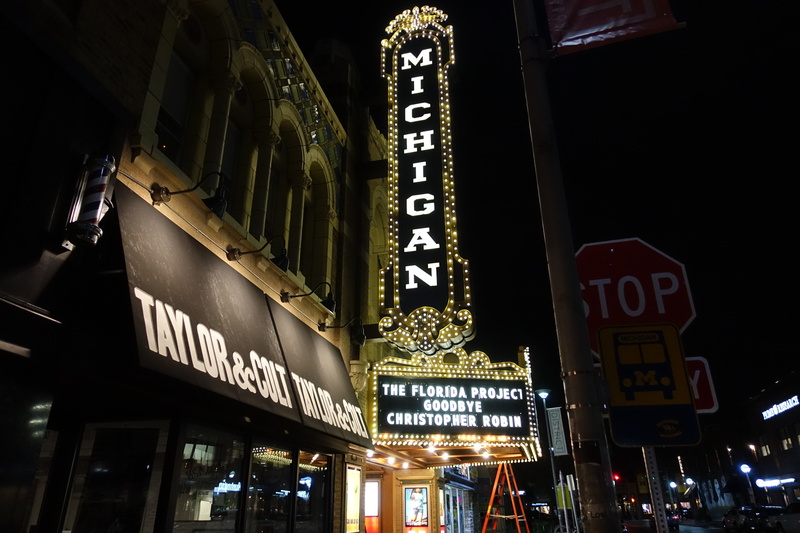 Michigan Theater hosts the Ann Arbor Symphony Orchestra, Cinetopia International Film Festival (in partnership with the Detroit Institute of Arts), organ concerts, and other live-stage events. When days in the next few months get gray, slushy, and cold, the Michigan Theater is a wonderful refuge and it’s equally delightful the rest of the year. “I’ve seen this movie before” is a phrase in vogue for recurrent phenomena and so it seems with the autumn ritual of residency applications. Fourth-year medical students travel around the country as “sub-interns” to audition at training programs in hopes of securing 5 to 6-year residency slots. Yet, every annual cycle presents a unique array of new faces, talents, experiences, and energies of candidates visiting our Ann Arbor program. This recruiting season has been particularly good, marked by nearly 70 astonishing medical students who interviewed for four residency positions to start here on July 1, 2018, as the class of 2023. Just as we rank the students, they rank us among the other programs they like and a computer makes the binding national match. Most applicants we see will become successful urologists and most programs they rank will train them excellently, evidence that our medical schools and professional organizations have created high standards, with narrow Gaussian distributions of quality. This is to say, the very best programs and candidates falling on the right side of the curve are not grossly dissimilar by most measures from the programs and candidates on the other side. 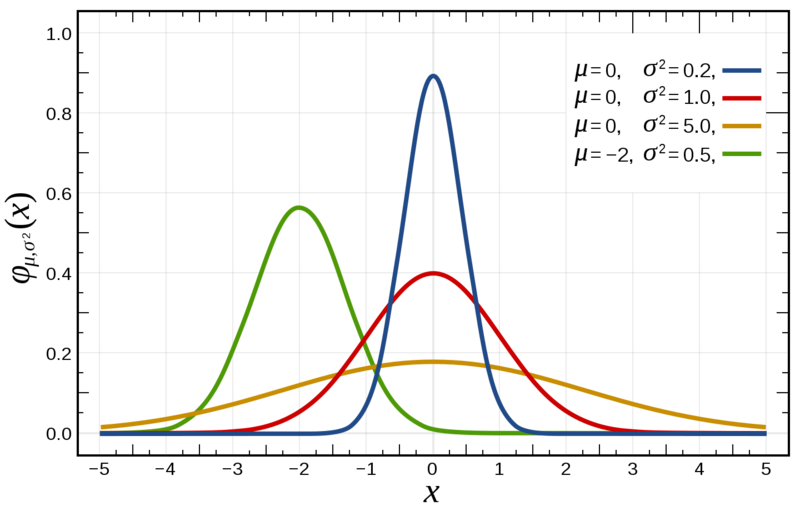 A theoretical program variability curve (blue) and wider student applicant curve (red) illustrate my belief that some applicants are potentially “better” than any of our programs. That should be no great surprise, as it indicates Darwinian principles at work: some of our successors should, by all rights and intents, surpass those of us who teach them. What does it take to go from applicant to successful resident? Most people we interview will become excellent residents and urologists who will impact their communities and practices significantly, and some will advance the field of urology in major ways. Before students create their preference lists, they need to get in the door for rotations and interviews. This requires good Step One board scores and excellent medical school performance data. Since most schools are “pass-fail,” applicants must demonstrate noteworthy performance in their clinical clerkships, such as “honors” in their deans’ summaries and strong letters of endorsement. When recommendations come from colleagues we know, with good track records of producing students who become excellent residents, we pay attention. Honorary society membership, selection to AOA for academic work or the Gold Humanitarianism Society, helps demarcate successful applicants. Exemplary social behavior is an important feature and successful performance on teams, such as college sports and humanitarian efforts, is also typical of our applicants. Test metrics, honors, and accolades are surrogates for the attributes we seek in our residents and future colleagues. We want individuals with intellect, empathy, ingenuity, resilience, and good humor. Good residents and good colleagues tolerate personal inconvenience to help their patients and teams. Particular metaphors illustrate our affinities. The people we seek have the “fire in the belly” to do the daily work and to solve meaningful problems. They “go the extra mile,” or add-on the “extra case” at the end of the day when the going gets tough. We need people who work well in teams, yet are effective leaders when the opportunity or need arises. Candidates similarly seek attributes of training programs. Surveys and “field notes” over the years identify important factors in play for applicant preferences such as program depth, established mentorships, institutional culture, geography, global opportunities, and climate. Two new features of our program will come on line. Steve and Faith Brown of California created a scholarship for a medical student, preferably from UM, entering our urology residency each year. The Brown scholarship will help residents with research projects or unique educational experiences. An intermittent 5th residency/research position, intended for a physician-scientist and established with the NIH and AUA, will start in 2019 and last seven years. The Gaussian distribution of residency programs, narrow and steep, reflects the fact that nearly all are fully capable of preparing trainees for excellent urologic careers. The wider applicant curve reflects my belief that many of our trainees have the capacity to be better than we (the faculty) are now. In fact, this is our goal. We want to train residents who will leverage the best of what they learn and see from faculty today to improve urology practice and research throughout their ultimate careers. In their own time, today’s residents and fellows will discover new knowledge, recognize new paradigms, invent better technologies, create novel operative solutions, and find ways to deliver health care more safely, efficiently, generously, equitably, and with greater kindness. If we do our work properly, our trainees will be more adaptable and creative in the environments of their tomorrows, than we could be if we cloned ourselves. Purposeful building of successive generations cannot be left to chance or entirely entrusted to government, religious entities, or the private sector. Nor should this be entrusted to any single university system, whether state or private. A diversity of universities, public, private, and ecclesiastical (in collegial or sometimes sharp competition with each other) will be the best way to educate successive generations, innovate technologies, and create and test new ideas for tomorrow. Universities must accommodate the immediate milieu and stakeholders of today, while taking the long view for subsequent generations. Gauss’s university is exemplary. The University of Göttingen was founded by King George II of England in 1734 (as Elector of Hanover) and quickly became a center for the nationalistic reawakening of the German lyric and national poetry. 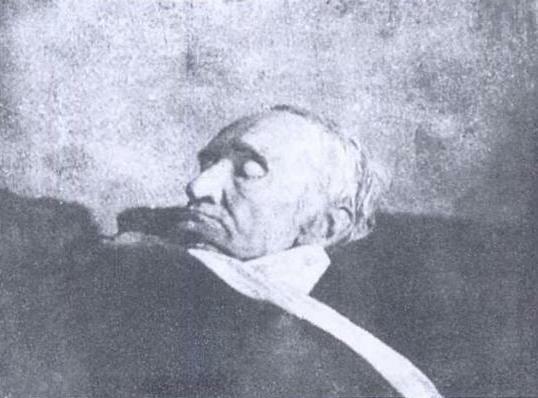 Encyclopaedia Britannica credits the university with releasing Germany “from the confines of the rationalism of the Enlightenment and from social convention.” Gauss studied at Göttingen from 1795 – 1798, but around its centennial in 1837 the university took a reputational hit when seven professors were fired for political unrest. 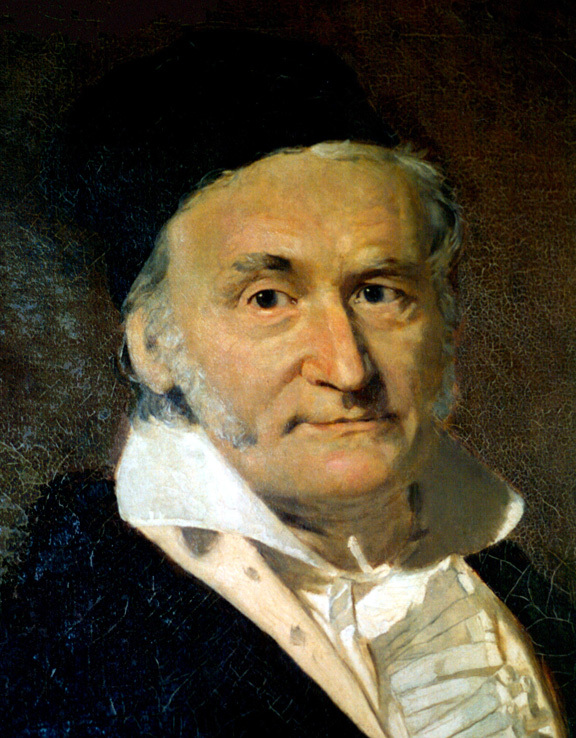 Luster was restored before its bicentennial particularly at its Mathematical Institute, that Gauss had once led. Göttingen has produced 40 Nobel prize winners including Max Born, James Franck, Werner Heisenberg, and Max von Laue. The strong mix of humanities and science at the University of Göttingen is noteworthy evidence that these two facets of creativity are inseparable, divided only by parochial and unimaginative perspectives. A century younger than Göttingen, The University of Michigan is no less rich in humanities and science. All universities need to figure out better ways to merge those two fundamental sides of knowledge. 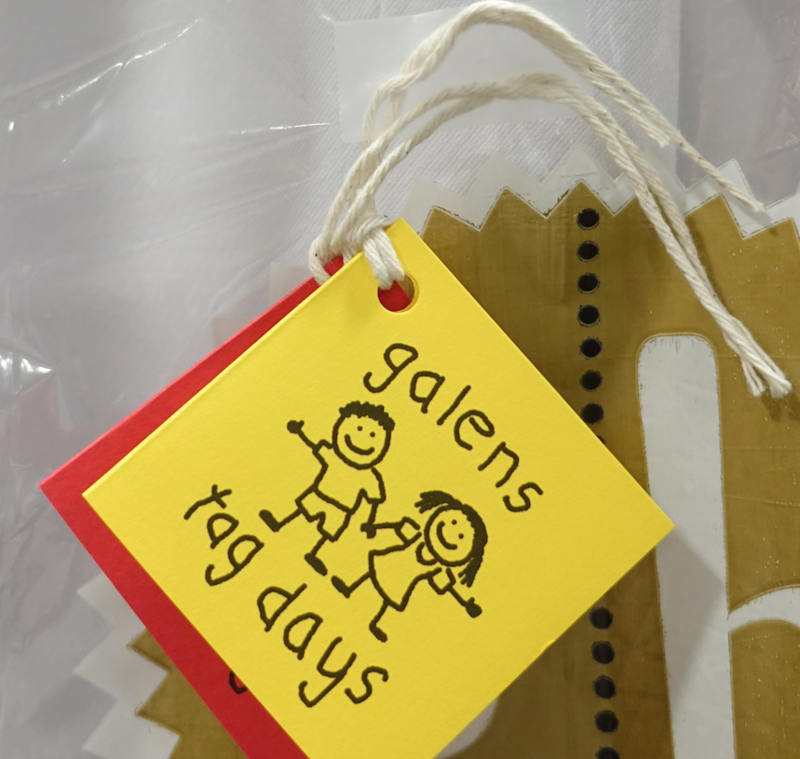 Galens 91st annual Tag Days began yesterday and will run through tomorrow. 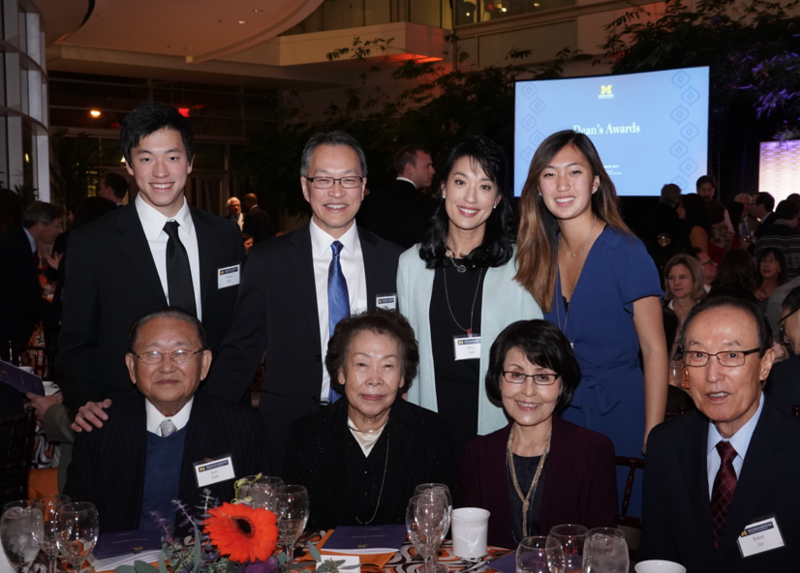 Medical students and faculty at the University of Michigan created Galens Medical Society in 1914 for student advocacy and as a social bridge between students and teachers. The name choice is both obvious and obscure. Galen was one of the early great names in medical practice and study, but it remains a mystery as to why that particular name was selected for this medical society. Galens Society at Michigan created an honor system, obtained secure student lockers (theft was a problem even in those halcyon days), and established a student lounge. In 1918 Galens members held the first Smoker, a series of skits performed by Galens men. Galens shifted its focus in 1927 to raise money for children with Tag Days, wherein students solicited faculty and community members, a tradition that continues the first weekend of December in the Medical Center and the streets of Ann Arbor. The Silver Shovel Award began in 1937 to honor faculty who have shown extraordinary commitment to teaching medical students. At some point Galens opened its doors to women medical students, reinvigorating the organization. Galens initiated the Mott 8th floor project in 1964 to house its Workshop for Children that had been ongoing since 1928, but lacked a permanent site. A chapel and student lounge were also created in that space. Galens contributed funds for the Mott Pediatric ICU in 1968 and in the 1980s made a similar contribution to St. Joseph Mercy Hospital for its Pediatric ICU. In 2006 Galens came up with $200,000 for the Child and Family Life Playrooms in the new Mott Hospital. In addition to the Mott Child and Family Life Program, Galens has supported Ozone House, Foundations Preschool, Children’s Literacy Network, The Corner Health Center, and Special Days Camp, among other worthy projects. Galens today includes about 120 medical students and 13 honorary faculty members. During Tag Days students on street corners sell tags that raise nearly $100,000 for Mott efforts and other children’s programs in Washtenaw County. In addition to The Smoker, Galens supports a Welcome BBQ, a tailgate, and a year-end banquet. A Galens Loan Fund helps medical students for their interviewing costs, that easily can cost students $5,000 – $10,000 as they travel around the country in their fourth-year interviewing for residency. Next year’s Smoker, by the way, will be March 2 and 3 at Lydia Mendelssohn Theatre. 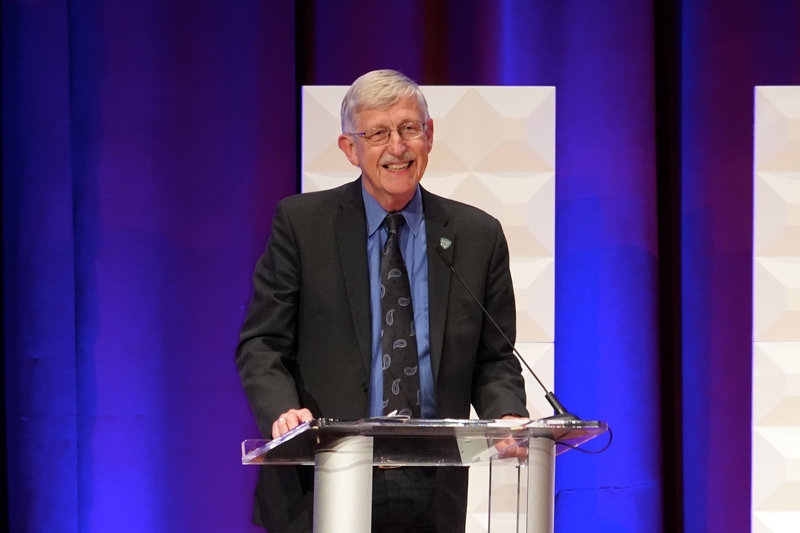 Francis Collins returned to Ann Arbor last month for the M Cubed Symposium and gave an inspiring talk that he called “NIH: National Institutes of Hope.” As a faculty member here in the Department of Human Genetics, his team figured out the genetic basis of cystic fibrosis. He went on to co-direct the human genome project and is currently NIH Director. Collins spoke about the considerable footprint of UM in medical research and our relatively large portion of the NIH budget. The NIH origin dates back to July 16, 1798 when Congress established the Marine Hospital Service “for the relief of sick and disabled Seamen,” recognizing that their healthcare was a responsibility of the government. The Marine Hospital Service fell under the Treasury Department and a monthly tax of twenty cents was deducted from the pay of merchant seamen, making this America’s first prepaid health care system. Less than a year later, legislation extended the benefits of the Marine Hospital Service to Navy and Marine Corps personnel. In 1875 a new law directed the President to appoint a Surgeon General of the Marine Hospital Service with advice and consent from Senate. Interstate quarantine authority was granted by Congress in 1890. The name of the service was changed in 1902 to the Public Health and Marine Hospital Service, eventually growing into the NIH, now intended to improve knowledge and extend services to improve health. The current budget exceeds $32 billion. When calendar years close out, pundits tally major events and accomplishments, as if to predict what future generations might mark as notable for that year. Some events and findings this year, unrecognized by most of us likely will rise to great significance in future times. At this moment, as of December first, some breakthroughs of the year are already acclaimed as important, although much can yet happen for good or for bad this last month of the year. Science magazine traditionally announces its “breakthrough of the year” with 9 runners-up, as a result of a “people’s choice” poll. Likely contenders for that list will be: observation of gravitational waves by three separate observatories, thereby supporting Einstein’s general relativity theory; CRISPR gene-editing to correct the mutation causing hypertrophic cardiomyopathy in a viable human embryo (similar work was reported in China a few years ago); neutron star collision (kilonova) witnessed at LIGO; and human-pig hybrid creation at Salk. Editors and writers of Science magazine in 2016 picked the detection of gravitational waves as the breakthrough of the year announced in the December 2016 issue [Adrian Cho. The cosmos aquiver. Science. 354:1516, 2016]. Alternatively, another poll (of readers) listed the gravitational wave by the LIGO interferometer as number two, preferring as number one the breakthrough in tissue culture techniques that allow human embryos to be sustained ex vivo for nearly 2 weeks. The “people’s choice” for number 3 was portable DNA sequencers, followed by an artificial intelligence milestone for number 4, and a finding on cell senescence and aging. My point is that human biology was central to 4 out of 5 of the 2016 breakthroughs and will likely be prominent in the 2017 choices. December first, looking back, is noteworthy for historic airplane crashes. As the methodology of aviation checklists has been imported into medical practice, most visibly in the surgical arena, it is useful to cross-examine failures and successes in both fields. Two aviation disasters occurred on this particular day in 1974. TWA 514 crashed northwest of Dulles Airport killing all 92 on board. En route from Columbus to Washington National Airport (now Reagan) the plane was diverted to Dulles due to high crosswinds and slammed into the west slope of Mount Weather. Terminology discrepancy between flight crew and controllers, heavy down drafts, and reduced visibility from snow were blamed. U.S. Congressman Andy Jacobs, scheduled on that flight, had refused to pay a $20 seat upgrade and luckily took another plane. The same day, Northwest 6231 crashed near Stony Point, NY, killing only the three crew members flying the plane from JFK airport to Buffalo as a charter to pick up the Baltimore Colts, whose planned aircraft was grounded in Detroit by a snow storm. Failure to activate the pitot tube heater, presumably a checklist item, was the root cause, resulting erroneous airspeed readings, icing, and a stall. Both planes were Boeing 727s. On this day in 1981 Inex-Adria Aviopromet Flight 1308, a Yugoslavian charter McDonnell Douglas MD-81 from Brnik Airport in Slovenia, crashed on approach to Ajaccio on Corsica. Air traffic control believed the plane was in a holding pattern over the sea and requested it to descend, although it was actually 9 miles inland. The crew knew the plane was over the island and was surprised at the instruction to descend from their holding pattern, repeating their uncertainty to ground control. Ajaccio Airport had no radar and flight controllers insisted on descent which took the plane right into Mont San-Pietro killing all 180 people on board. On investigation, communication confusion was named as main factor. 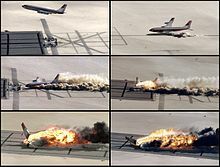 Coincidentally a few years later, on this particular date in 1984, NASA conducted the Controlled Impact Demonstration at Edwards Air Force Base, deliberately crashing a Boeing 720 flown remotely so as to study occupant crash survivability. (Picture below, Wikipedia.) Planes seem to be made more safely, but the human factors of miscommunication and deviation from routine procedure remain our Achilles heel. As the urology chair search process unfolds many people will be engaged in trying to figure out the best fit for our department. Academic medicine seems to have convoluted the process of leadership succession, but it need not be difficult. A reasonable chair candidate should be someone who can take a team from good to great. A good candidate has a track record of excellence and national respect in his or her field, particularly in the essential deliverable of the department. Chairs who have failed nationally never passed these two bars. The key requirement of a chair is to deliver the main functionalities of the department and enhance its essential deliverable. For us, that key deliverable is state-of-the-art clinical care in all domains of urology and with accessibility for anyone in Michigan or beyond who seeks our services. The essential deliverable is the milieu for our foundational responsibility of educating the next generation of urologists and urology health care workers trained in urology. The essential deliverable is also the stimulus and laboratory for our mission of discovery and research. A chair must retain and recruit excellent faculty and staff to build stability and depth of the department’s critical units, while helping its people develop their careers and fulfill their aspirations. Personal traits of kindness, moral center, integrity, trustworthiness, flexibility, high emotional quotient, and humor are important. These are difficult to ascertain in external applicants, while a few minor deviations noted over decades of interactions “in the trenches” can derail internal candidates. Intellectual ability to deal with stress, complexity, and ambiguity is necessary. A successful chair needs curiosity to keep up with urology, medicine in general, and the changing world as he or she guides a department. A personal sense of cosmopolitanism builds the diversity, equity, and inclusion necessary for a great team. A number of organizational talents are critical. The chair must understand and articulate the mission of the organization, sharing its beliefs and values. The chair must listen well and understand the department’s stakeholders. The chair must build teams, develop consensus, elicit a vision, and craft strategies with stakeholders. The chair should be a proven hands-on problem solver when necessary, yet be an excellent delegator. The chair must understand the social responsibility of the organization relative to its partners, community, region, nation, and world-at-large. A chair must steward and grow the departmental resources. I came to learn these attributes from leaders of my various career stations and particularly from dean Allen Lichter and coach David Bachrach. What lies ahead. It may seem doubtful that many people will be talking about “the halcyon days of 2017” next year or beyond, yet who knows what lies ahead to reframe our perspective? Historians viewing certain domains such as Astros baseball, might indeed think 2017 was a golden, happy, and joyful time. Turbulence in the health care markets, the uncertainties of regulations such as MACRA, changing demographics, expanding comorbidities, domestic violence, and environmental deterioration may combine to make 2017 look better from the rear-view mirror than it seems now from our perspective in December of this year. Secular stagnation, an idea proposed by American economist Alvin Hansen in 1938, suggested that economic progress after the Great Depression was restrained as investment opportunities were held back “by closing of the frontier and collapse of immigration” [Economist Aug 16, 2014]. The idea could be expanded to the thought that any great shock to the world-at-large is followed by a period of latency. One can only guess how historians someday will define the era in which we are presently immersed. Stagnation of human progress is evident in many parts of the world, encompassing diplomacy, human rights, food security, personal safety, health care, environmental quality, as well as economic growth. If one views the world through a dystopia lens, then tomorrow’s metaphorical glass is half empty and this year may be viewed as relatively halcyon. With a more optimistic lens, if human progress ultimately wins the day, as history indicates, the year 2017 may not appear particularly halcyon. This year ahead will be busy for the Department of Urology at the University of Michigan. A search committee for new chair begins with strong representation from our department. John Wei, Kate Kraft, and Scott Tomlins know our department well, and the other members of the committee are terrific choices as well. 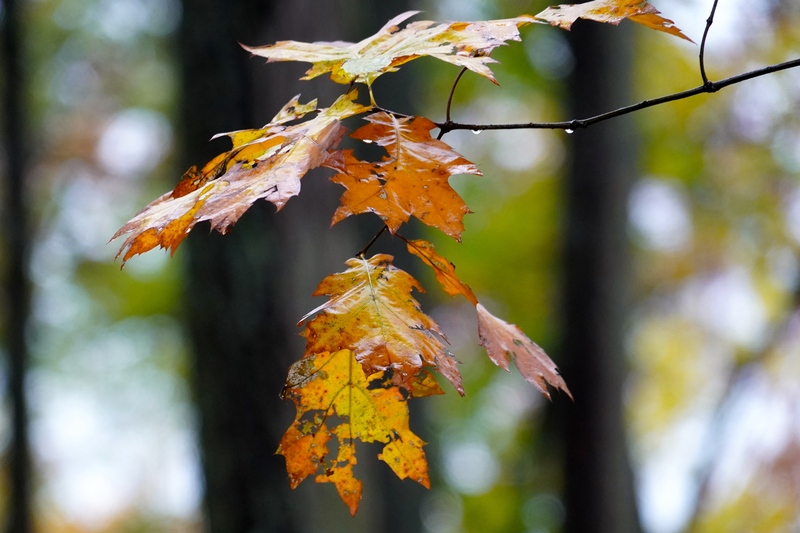 Our departmental retreat, April 14, will be a good time to take stock of the process. A special meeting on bladder cancer, the Teeter Symposium, is planned for May 4. Bob Teeter, a friend of our department, lost his life to bladder cancer a decade ago and since then knowledge of the biology of this disease had advanced greatly, as have surgical and medical treatments. The symposium will be an opportunity to see how far we have come and develop some paths for the future. We look forward to the Nesbit Reception at the AUA in San Francisco, Sunday, May 20. During the Ann Arbor Art Fairs, we will host the 12th Chang Lecture on Art and Medicine on July 19 and the next day will feature Hadley Wood of the Cleveland Clinic as the Duckett Lecturer and Rosalia Misseri of Riley Children’s Hospital in Indianapolis as the Lapides Lecturer. Our Health Services Research Symposium will be September 13 and 14. The Nesbit Alumni Society meeting September 20-22 will feature our own alumnus Toby Chai, now professor of urology at Yale. The Montie Uro-oncology Lecture is planned for some time next autumn. In 2019 we begin centennial celebrations to transition into the second century of urology at the University of Michigan. The passing of another great era in the history of Urology at UMMC. You have left your indelible print on that history leaving it “better than you found it” which is the duty of every professor and chair. 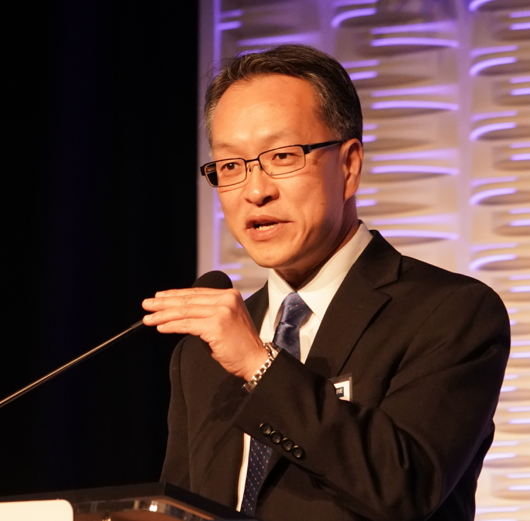 You have continued a long legacy of attracting wonderful and talented faculty who make a difference in the lives of their patients, students residents and their community. Thank you for what you do for the Department and I am sure everyone of us who are readers of your monthly essay hope that you will conintinue your observations and essay giving us insights into the world we live in and its history as well as current events all tied together in a meaningful prose. And you with your camera always ready to record the photo history of your department it’s people and the UofM medical school and its health system. You are a Leader and Best!